Pioneers in the industry, we offer water purification system and laboratory water system from India. Standby function : Auto recycling lower than setting value. 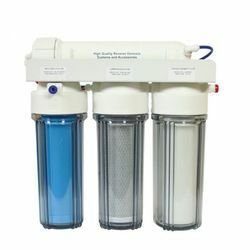 Programmable by 2 steps for the filter exchanges to maintain water quality. Along with our range of high quality equipment, we also cater to our clients’ with a best range of Laboratory Water System. Manufactured as per the needs and specifications detailed by our clients, this system is highly appreciated among our clients. Furthermore, it is manufactured by experts who possess vast domain knowledge and are well aware of resent technological developments in the industry. Available in diverse specifications, offered system can also be availed at reasonable prices from us. 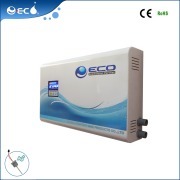 ECO Commercial Purifier is an environmentally friendly high efficient appliance applied in hospital, swimming pool, school, hotel, wash house and other public place. With the high-efficiency of sterilizing, disinfecting and purifying commercial water, ECO Commercial Purifier is aiming at reducing the damage resulted from the bacterial which may be spread through water. 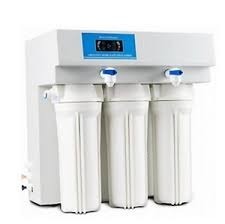 ECO Commercial Purifier adopts advanced nanotechnology and permanent magnetic material to pre-treat the tap water, through mixing the water in the static mixer for the first time, and then mixed with controllable ozone and silver ions, through the second time in the static mixer to make sure appropriate gas-liquid mixing proportion.